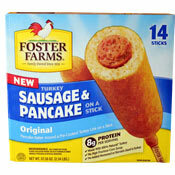 The complete name of this product is Original Turkey Sausage & Pancake On A Stick. 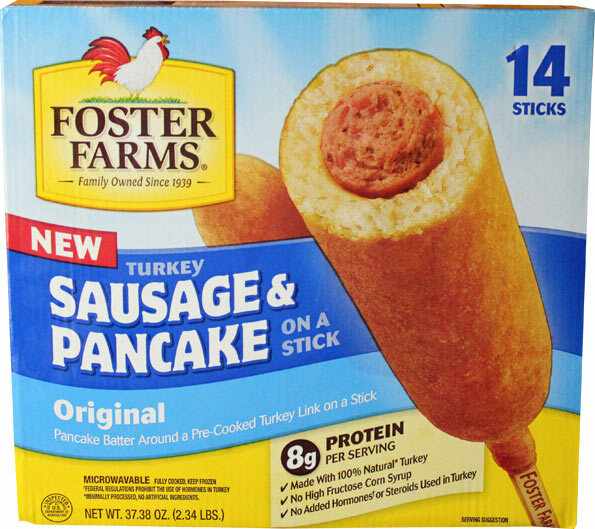 It's described on the package as "pancake batter around a pre-cooked turkey link on a stick." 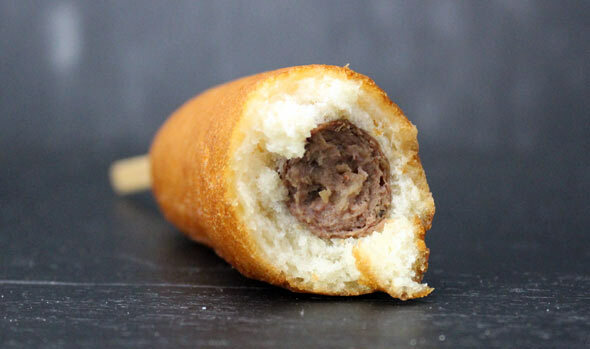 It's essentially a breakfast corn dog and... it's pretty good. To prepare, you microwave each serving for 60 seconds and then let it cool for at least 2 minutes. It gets really hot, so make sure you let it set. I liked them best when I let them cool for a full 5 minutes. The pancake coating is fluffy and flavorful with a hint of maple. The sausage tastes terrific. Since it's masked within a pancake coating, it's hard to distinguish that it's made from turkey and not pork. It's pleasantly spiced, but not spicy. One person in the office said this product reminded them of a McGriddle breakfast sandwich from McDonalds. There's 14 Sausage & Pancake Sticks in a package. That might be a turnoff for everyday shoppers as you're forced to buy this product in bulk. Ordinarily, I'd say I'd buy these again... but it might take me months to finish one box and if I'm not bored with them by then, it'll be a miracle. I recommend trying this product... if you have room in your freezer for a large box and a fairly large household where no one person if forced to eat 7+ Sausage & Pancake Sticks. 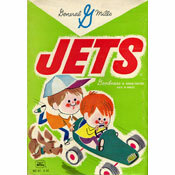 This product is also available in a Bacon, Egg & Cheese Variety. We haven't reviewed that version, but please share your thoughts below if you've tried it. Nutritional Considerations: Each stick as 170 calories, 6 grams fat (1 gram saturated and 0 grams trans), 25mg cholesterol, 450mg sodium, 21 grams total carbs, 0 grams dietary fiber, 7 grams sugar and 8 grams protein. 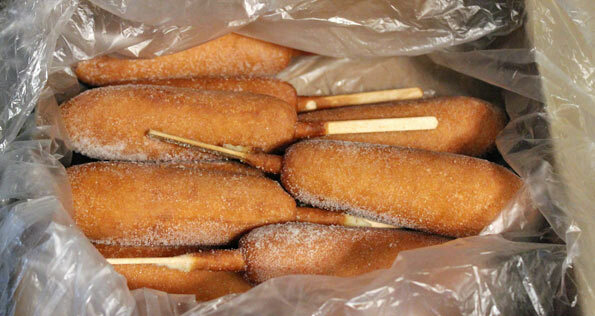 What do you think of Sausage & Pancake On A Stick?